Mutant Year Zero: Road to Eden is out tomorrow on PC, PlayStation 4 and Xbox One. As part of our pre-release interview with Haraldur Thormundsson, the CEO at The Bearded Ladies, we also inquired about the technical specs of the game when running on the enhanced PlayStation 4 Pro and Xbox One X consoles. From the looks of it, Microsoft’s console is set to enjoy a slightly higher maximum resolution while Sony’s console packs a few enhanced graphics effects. Max resolution for Xbox One X: 3200×1800. For PlayStation 4 Pro, the UI resolution is rendered at 4K while the frame resolution is 80% of 4K (3072×1728). PC users, on the other hand, can take a look at the following official system requirements. 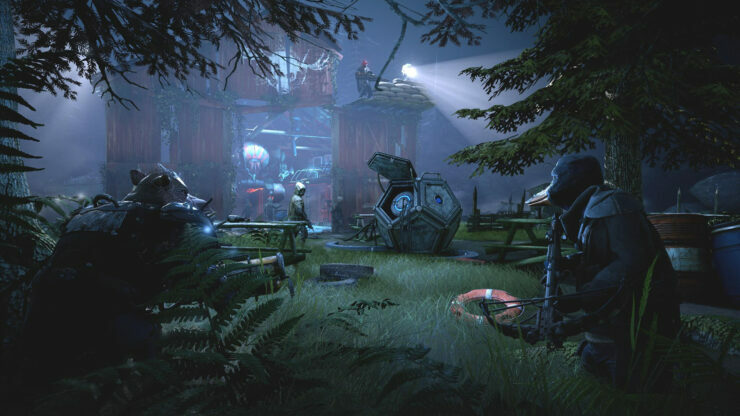 Check back later today for our full interview about Mutant Year Zero: Road to Eden.